Electronic Parking Brake coverage for over 30 car makes! 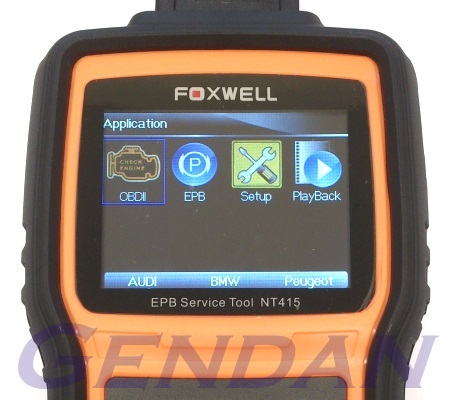 The Foxwell NT415 has been specifically designed to offer professional Electronic Parking Brake servicing coverage across a wide range of car manufacturers, at an affordable price - even for small garages and enthusiasts. 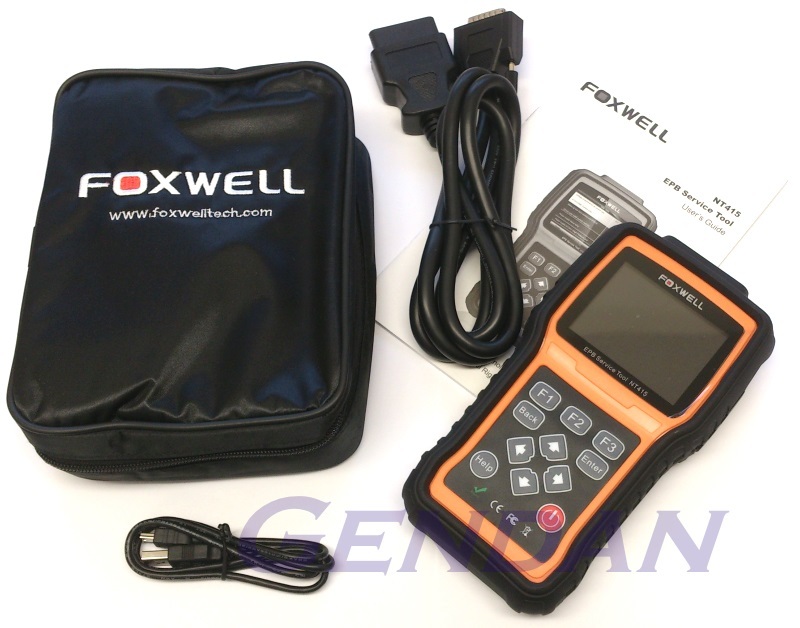 The tool also features a comprehensive EOBD / OBD-II mode, to offer engine management fault code reading and live data from any EOBD compliant car (all* petrol cars from 2001 onwards, diesel cars from 2004 onwards). This tool comes with free software updates for 18 months from the date of purchase. Once your initial 18 months of free updates expire, the tool will continue to function - it will not 'time out' - but you will no longer be able to access the update server. Should you wish to continue updating your tool, you will need to purchase an update package, which will give you a further 12 months of access to the update servers.